I am Kankuro, the new Kazekage of the Village Hidden in the Sand. Kankuro leapt back, his back almost against the wall. He hadn't expected Itachi to arrive. He must've taken out the guards, he thought bitterly. "First Sasori and Deidara, now you?" he asked with a smirk. "Akatsuki seems quite interested in Sunagakure." He didn't dare think the worst, but he was ready for anything. Knowing Itachi, Lady Luck was pitying Kankuro. "haha Sasori and Deidara they were just here to kill Garra and get the Jinchuriki out of him I'm Just here to have fun" "And by the way with my sharingan i just read your thought and you are right i did kill your guards but you should get stronger next time if there is a next time, and another thing about Sunagakure WE WANT TO MAKE IT ARE 2ND BASE"
Kankuro gritted his teeth. "Second... base?" His eyebrows burrowed. "Why? What does the Sand Village have that you want?" "cover with all the sand it will be so hard for the NEW RECRITES to be found"
Kankuro bit his lower lip. "Well, if it's a fight you want," he hissed in reply, "it's a fight you'll get." He quickly leapt out the window with a wave and landed onto a building. He quickly sprinted towards the canyon gate. Gotta lead him away from the city, he thought. I hope it works. Because then, I'll give him the fight of his life. 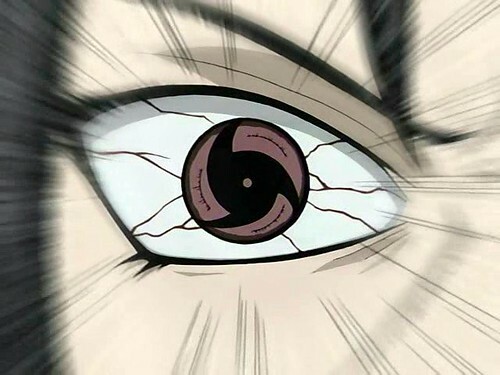 Must be genjutsu, he thought. It's gotta be. He sighed angrily. But I can't break it... Kankuro stopped running and turned around, facing Itachi, who just happened to be there, like before. "Okay, my plan didn't work," he said quietly. He summoned chakra into his fingertips and summoned his three puppets almost simultaneously. "But this one should. Dokugiri Zuyoku, Baribari Shikaku Renpatsu!" Suddenly, purple mist spewed from Karasu's mouth, surrounding Itachi. Kuroari then fired its poisoned needles at the mist. Kankuro hoped he got him, but he was pretty doubtful. Before Kankuro even knew what happend one puppet blow up the other two didnt have there heads anymore Iachi appeared behind Kankuro "Paper Bombs and kuni your smoke is to slow for my eyes and my Uchiha body"
Kankuro gulped heavily. He knew he was outmatched this time. Fighting Sasoru was different; he actually tore a small piece of his scarf. But this... Two of my puppets are down, he thought. And I didn't even see it. "There's got to be a way out of this," he whispered to himself. "But I can't see it..."
"Now you are cought in my trap you looked in my eyes long enough"
"72hours 59min 59sec you will be stabed with this sword"
In real life not even a second had passed yet but in Tsukuyomi 32 hours had passed "40hours 59min 59sec 4 swords"
In real life only 5 sec had passed but in Tsukuyomi 20 more hours had passed "20hours 59min 59sec 6 swords 2 shrukin 1kuni and there will be stones thrown at you"
Kankuro bit his lower lip and held in his scream as swords, shuriken, kunai, and stones battered and stabbed him. He felt the taste of blood enter his mouth. "Ugh... can't take... much... more..."
"10hours 59min 59sec 8 swords 8 shrukin 8 kuni and there will be stones thrown at you"
Just under 11 hours left, he thought to himself. Made it this far... could go a few more, I guess... His confidence quickly dropped when he was bombarded with stones and impaled. Kankuro cursed under his breath. "5hours 59min 59sec 20swords 20kuni 20shurkin 200wips 1000bee stings and 1,000,000 stones thrown at you"
"Getting... creative... aren't you?" Kankuro breathed as the new pain set in. He felt his eyesight blur, his heartbeat rising and falling eradically. Kankuro fell to the ground, gasping for breath. He felt so close to death, yet it wouldn't take him. Sweat poured profusely from all over, his makeup smudging. He couldn't say anything at all. If only... Gaara was here... With that, he fell unconscious.